I am continually asked about the extent of the liability of fire risk assessors under the Fire Safety Order. Unfortunately, there are no easy answers. So let’s approach this in a way which will hopefully be familiar. Any potential liability stems from articles 5(3) and 5(4) of the Regulatory Reform (Fire Safety) Order 2005 (the FSO). 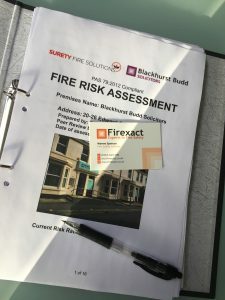 The fire risk assessment usually follows a contract between the person responsible for the premises and the fire risk assessor, which leads to the fire risk assessor, providing an assessment in relation to the safety of the premises. On that basis, Article 5 (4) is satisfied. However, that liability is limited to the extent to which the fire risk assessor has control over the premises in question (see A 5(3)). In addition, the fire risk assessment which is deemed to be not suitable and sufficient (A9), must have placed one or more relevant persons at risk of death or serious injury in case of fire (see A32(1)(a)). 2. The responsible person relied entirely upon the fire risk assessment provided and complied with its recommendations where relevant. 3. The shortcomings of the report placed one or more relevant persons at risk of death or serious injury in case of fire. Is the risk assessment suitable and sufficient? – No amount of clever legal disclaimers can ever disclaim criminal liability. If the risk assessment is poor, then problems may arise. It is however, possible to clarify the exact nature of the assessor’s involvement with the premises. This can be done through disclaimers, which are signed by the responsible person to ensure that the RP is in no doubt about the limited control passed to the assessor. Are terms of the retainer between client and risk assessor clear and precise? 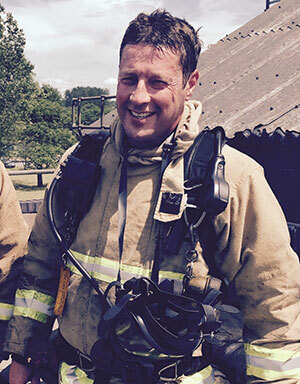 – In the event of a prosecution, the first thing the court would do is look at the nature of the retainer between the responsible person and the fire risk assessor. It is for this reason that the retainer must be clearly agreed and evidenced either within the report, or within a separate terms and conditions document, so that the control of the premises is minimised to its correct extent and it is clear that the fire risk assessor has not adopted any unnecessary responsibility for the premises, which should remain with the responsible person. In all of the cases I have dealt with involving risk assessors, whether prosecuting or defending, there has always been a common theme – the terms of the retainer between the risk assessor and the responsible person was not clear. The risk assessor’s Terms and Conditions should make it clear that any risk assessment should not be relied upon until the final document/assessment has been completed and signed by the risk assessor. I have always viewed the risk assessment as a process rather than a document, and I believe that the process cannot be completed without proper liaison, discussion and agreement between the parties. I have seen a number of situations where premises were inspected by the risk assessor, a risk assessment document was sent to the responsible person, and that document was probably put in a drawer and never looked at again. But when the enforcement authority came knocking on the door, the inadequacies of that process were laid at the feet of the risk assessor. In my view, this situation can be easily avoided by requiring the responsible person to sign properly constructed Terms and Conditions before any work is carried out. Who really placed relevant persons at risk of death or serious injury? For a risk assessor to be liable it would be necessary an enforcing authority to prove that the shortcomings of the report placed one or more relevant persons at risk of death or serious injury in case of fire. The risk does not have to be a serious risk, as is put forward by many experts. Any risk will suffice. Accordingly, the fire risk assessor must make very clear that the responsibility for the on-going management of the premises and even, if necessary, the decision to allow the premises to be used for its present purpose, remains with the responsible person. Liability for management procedures for say, evacuation management, maintenance of firefighting equipment, maintenance of alarms should not in any way be adopted by the fire risk assessor because the ongoing management of the premises is not within the risk assessor’s control.